The annual HMS Talent Show tryouts are scheduled for March 6th and 7th after school. Students interested in participating need to sign up with Mrs. Shipes for one of those days. 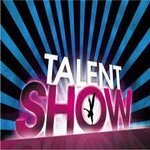 The talent show will be held on April 6th with all proceeds going to benefit the HMS Relay for Life Team and the American Cancer Society.